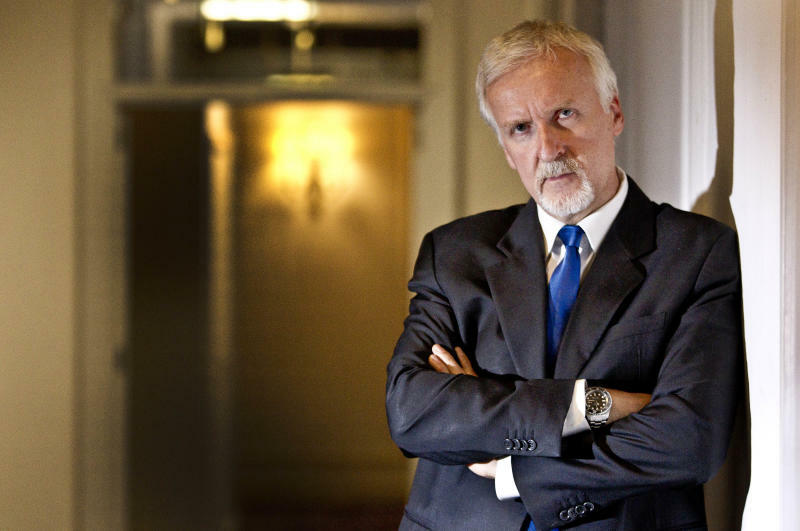 LOS ANGELES (AP) — James Cameron will be one of the stars of his next big-screen adventure, a chronicle of the expedition on which he has made record-setting ocean dives. Cameron said he plans a TV special for National Geographic and a 3-D theatrical release on the Deepsea Challenger missions, which included his seven-mile descent to the ocean's deepest point in the Mariana Trench in the western Pacific. It was the deepest solo dive ever, surpassing the five-mile descent he made a few weeks earlier. 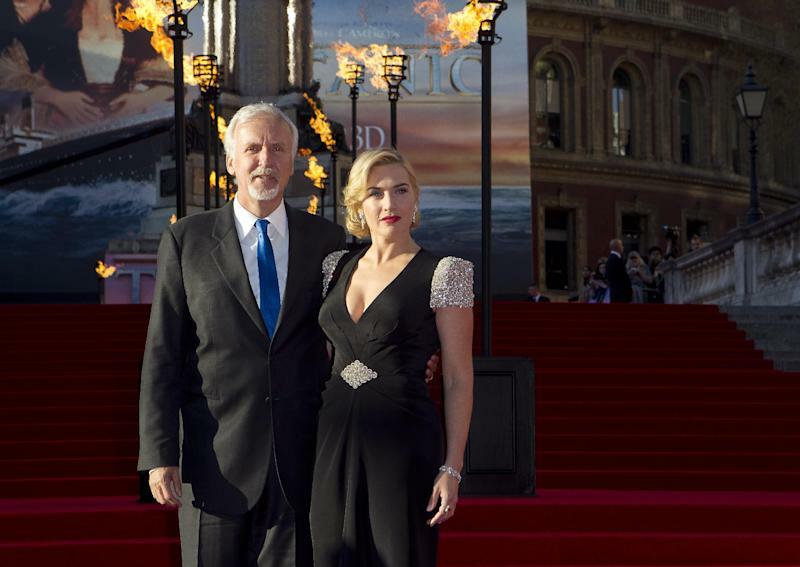 The film could be ready late this year or early next year, depending on how much additional shooting he and his colleagues need to do, Cameron said in a telephone interview Tuesday night, after the premiere of a 3-D version of his 1997 blockbuster "Titanic," which sails into theaters next week. "We're shooting the whole expedition as a 3-D film," Cameron said from London, where he had rushed for the "Titanic" screening after completing his dive Monday in the one-man sub Deepsea Challenger, which he helped design. Much of the design effort focused on building small, lightweight digital 3-D cameras that could withstand ocean pressures of 16,000 pounds a square inch, Cameron said. They were a huge leap forward from the cameras he used to shoot his first 3-D film, the 2003 Titanic documentary "Ghosts of the Abyss." "They're a tenth of the size and weight of the 3-D camera that I used to go down to Titanic depth," Cameron said. "We spent a fair bit of the development budget of the sub figuring out how we would be lighting it and how we would do 3-D photography at full ocean depth. We did tackle a lot of challenges, but always, the thinking was this expedition is going to get paid for by a film." Cameron has been planning the expedition since 2005, while he simultaneously worked on the 3-D conversion of "Titanic" and made "Avatar," the sci-fi blockbuster that displaced "Titanic" as the biggest modern blockbuster with $2.8 billion worldwide. "Titanic" co-star Bill Paxton, who dove with Cameron to the wreck of the ship for "Ghosts of the Abyss," said he had nervously followed accounts of the filmmaker's dive and that his first words when seeing him before Tuesday's premiere were, "Godspeed, Jim Cameron." "I was very apprehensive and so anxious to hear that he was OK," Paxton said. "I've been two and a half miles down at the wreck of the Titanic with him. That's one thing. But seven miles, that's like going to the moon. In a one-man sub that's only been tested to a certain depth. ... Here's a guy who bets his life on the technology he makes. I've been very lucky to have a front-row seat to one of the most remarkable careers in Hollywood and beyond." Cameron's dive was the first in 52 years to a section of the trench known as Challenger Deep. The only other manned dive there was done in 1960 by U.S. Navy Capt. Don Walsh and Swiss engineer Jacques Piccard. The documentary will include a dramatized re-creation of Piccard and Walsh's dive, Cameron said. Walsh came along with the surface crew on Cameron's dive and was waiting on the ship when the filmmaker returned. Cameron's three-hour-plus time at the bottom far eclipsed the 20 minutes Walsh and Piccard spent there, but Cameron said it's unclear if he actually descended to a lower depth. "There's no way of measuring it super-accurately. You can bounce a laser off the moon and know within a couple of centimeters how far away the moon is, but you'll never know how deep the ocean is, because you're measuring waves, the sound through seawater, the changes in temperature and salinity. The error margin is tens of meters. I said, 'Let's just share it.' We shook on that."